Putting up a bird box camera allows you to discover the mystery inside the nest box, watching even recording the memory moments such as nest building, birds feeding their child, the fledgling fight. 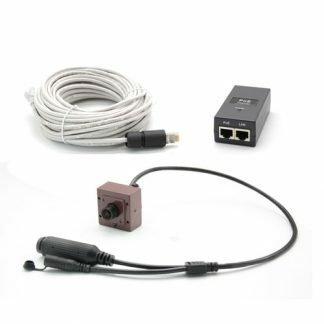 However, hardwiring the cable from your house is one of the headache to setup a bird box camera watching system. 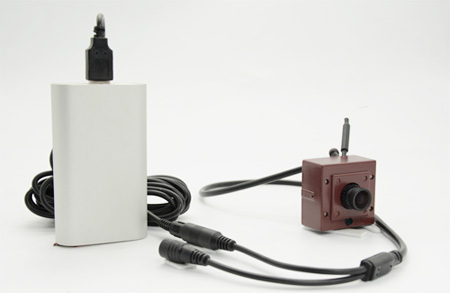 Even you use the wireless or WiFi bird box camera, you still need the power adaptor. What a wonderful thing if you can just eliminate hardwiring. We will talk about solar panel bird box camera in this article. How to calculate the power consumption on your bird box camera? how to choose the solar panel. Eventually, you may design you own solar power bird watching system. Use wireless or WiFi bird box Camera. 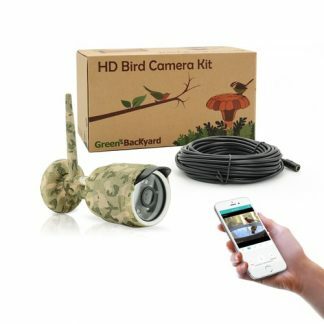 The basic solar bird box camera composes of wireless or WiFi bird box camera, battery, solar panel, and charge controller. You will need wireless or WiFi bird box camera, but not wire bird box camera. If you have hardwired back to the power outlet from the bird box, it has no reason to use solar or battery. What is the difference between the wireless and WiFi bird box camera? The wireless camera always has a wireless receiver in pair at the other end, and the output signal from receiver is analog, it has to work with analog TV. 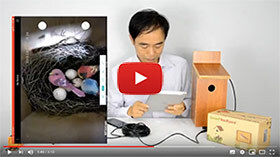 The WiFi bird box camera will be connected to your home router thru WiFi, you have to watch the live video on mobile phone, iPad or PC computer, you can’t watch the live video in analog TV, because it is digital. Both types cameras still require power sources. The solar or battery eliminates the power cable which should connect to the outlet. The whole setup will become more flexible without hardwiring back to the outlet. First thing to first, let’s calculate how much power the wireless or WiFi bird box camera consumes each days. The specification of your camera can give you general idea, but it is not accurate. The manufacturer would try to indicate much higher power consumption, it call “safe buffer”. It doesn’t harm the camera, all the electronic products only will take whatever power budget it requires. Even you supply 120W power source, the camera will only take 10 watt if it needs just 10 watt. So why not ask for in the higher power in the specification? Generally wireless or WiFi bird box camera require less than 1 watt in days time and 3 watt at night when the infrared is ON. To calculate the energy the camera needs, you need to multiply the power consumption by the times you would like to the camera working. Let’s take 2 watt as average. The bird box camera will take 48 WH each day (24 hours) from your battery. This is the energy bird box camera requires each day. 2 (watt) x 24 (hours) = 48 WH. After we know how much energy the bird box camera needs, we can go to choose the right battery. The battery store the energy so it can supply your bird box camera. The specification the battery giving is the amp hours, such as (10Ah or 10000mAh). We need to convert amp hours to the watt hours (WH) to match the camera power consumption. Simply multiply amp hours by output voltage, you will have the result. 10 (AH) x 5 (V) = 50 WH. The Li-ion only can give you 80% of power rate, You have 80% rate instead of full capacity. 50Wh x 80% = 40 WH. You may need at least 12AH battery to satisfy the energy requirement from bird box camera each day. Ideally, 24 watt solar panel can generate enough energy for the bird box camera per day after winter in UK. The last piece is the charge controller, also call “voltage regular”. The charge controller regular the voltage output to DC12V or DC5V. It is also not 100% converting efficiency. The MPPT Charge Controller efficiency is 92% and PWM efficiency only has 80%. That mean it always has loss during the voltage regular. 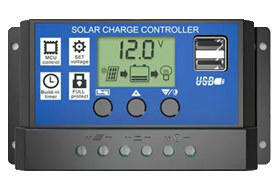 If you choose PWM controller, the solar panel increases to 30 watt after we consider the loss. Can we use smaller capacity solar panel? Yes, but we may need to sacrifice the night vision. Once removing the night vision, you may save half of energy. The power consumption per day will low down to 24 watt each day. 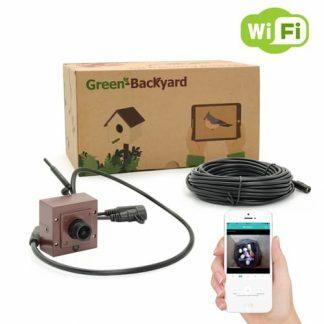 This WiFi bird box camera will turn off infrared LEDs if you input DC5V instead of DC12V. You don’t have night vision at night when you input DC5V, but it saves a lot of energy. Further thought? Power bank without solar panel. 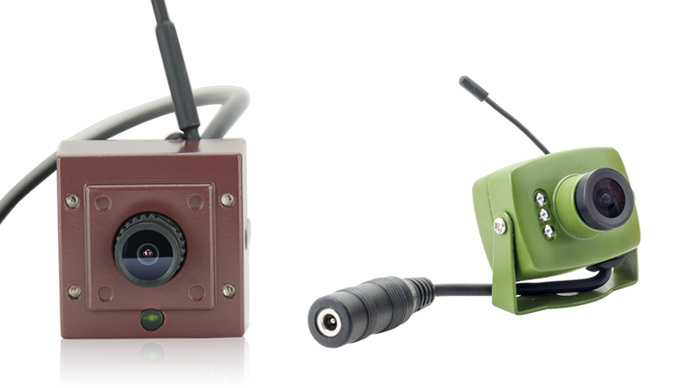 As the WiFi Bird box camera works with wide range voltage input between DC5V and DC12V. How about we only use power bank without solar panel. 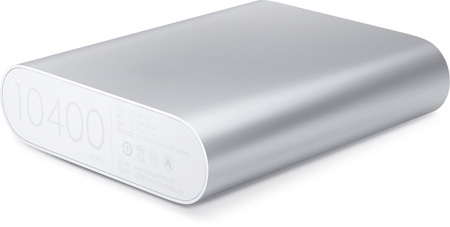 The power bank is the conventional product which is easy to acquire. With 10 meters DC extension cable, you can put up the battery box a little bit far away from the bird box. You don’t want to disturb the birds when you exchange the power bank. After you connect WiFi bird box camera to your home router over WiFi, you can watch the live video of bird box on internet. You even can insert the TF memory card to record what is happening inside the bird box. Someone said 99% recording video is boring but 1% is interested, and it is worth to discover this 1%. Let’s take a quick look at the power bank solution. The solution removes solar panel setup, voltage regular. Simply plug in the power bank with USB to DC5.5V cable. The camera will be working. 10Ah power bank can supply the camera keep working 48 hours. You may have to recharge your power bank once in 2 days, but it could save time from putting up the solar panel. If you come up with any ideas, please don’t hesitate to share with us.